Twelve years ago today, the federal government sent in tanks to force the surrender of American citizens holed up in a compound in Waco, Texas. 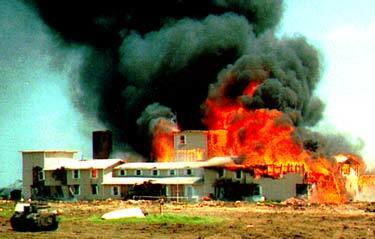 There is little doubt that David Koresh was an evil man. 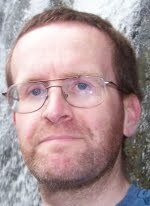 He is alleged to have committed serious crimes for which he needed to be brought to justice. Sending in armed agents to break into his compound, when he could have been apprehended during a trip into town, was a disaster. Opponents of the war in Iraq argue that we should have let the weapons inspectors to their jobs, and that there was no need for military force. In 1991, opponents of the first Gulf War argued that we should have let the sanctions work longer to get Saddam to leave Kuwait before we invaded. How much more important is it for the federal government to show restraint when dealing with its own citizens, especially when they are part of a doomsday religious cult and would welcome a confrontation where they can martyr themselves. But the Clinton Administration did not show the proper restraint. On April 19, 1993 the federal government moved in with tanks and military equipment to end the standoff. 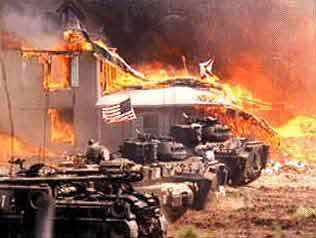 The resulting fire (likely started by the Branch Davidians) killed the people inside, and stands today as a reminder of a federal government that abused its power. Those people did not have to die, but did so the Clinton administration could save face. Waco remains a dark spot in American history.